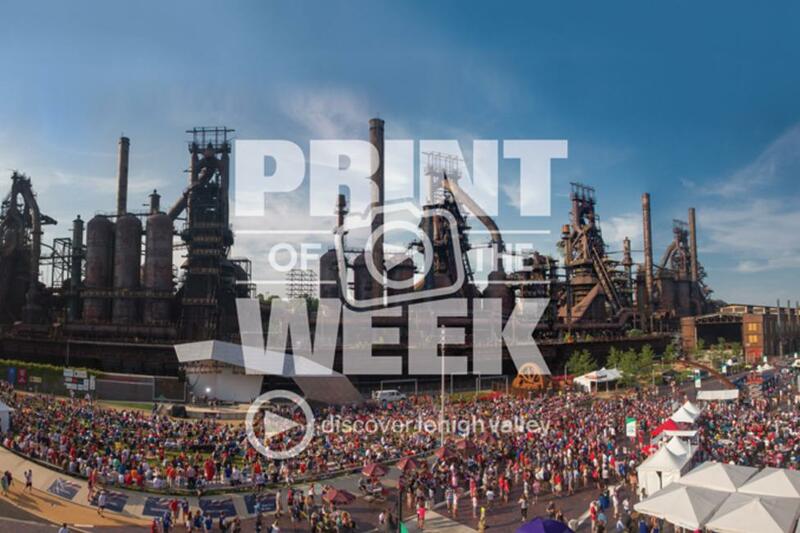 Put Some Lehigh Valley Color on Your Walls with Discover Lehigh Valley's "Print of the Week"
Put Some Lehigh Valley Color on Your Walls with Discover Lehigh Valley&apos;s "Print of the Week"
Looking for something to brighten up the walls of your home or office? Why not adorn them with some of the most captivating attractions, venues, and happenings Lehigh Valley has to offer? Discover Lehigh Valley is featuring some exceptional shots that commissioned local photographers have captured of the region. From Wyerbacher and Porters Pub to Blueberry Festival and Celtic Fest, from Lehigh University and Allentown’s West Park, and everything in between, you are sure to find something that will brighten your day. A new Discover Lehigh Valley “Print of the Week” is unveiled every Wednesday on Discover Lehigh Valley&apos;s Facebook page. Make certain to keep an eye out for their “Canvas of the Month” sponsored by EBC Printing. One lucky winner the last Wednesday of every month will win the featured photograph captured on canvas. These prints are ready to be framed and just waiting for you. Featured at the low price of just $25 which included shipping this is an exceptional offer for you or that person that shares your Lehigh Valley enthusiasm. Keep an eye out weekly as you never know what imagery is sure to appear. Have a suggestion for a print that you’d like to see? Just e-mail me at ryan@DiscoverLehighValley.com and we will see what we can do. Visit, live, work, and play here. Lehigh Valley is a wonderful place to call home, and as the weather turns colder the scenery just keeps getting better. Stay warm all.